One time, when I was little, I played a game. Grandparents, aunts and uncles were all visiting that weekend. The house was packed. I don’t know why I came up with the idea, but I thought it would be fun to hide. I wanted to see what would happen if I suddenly went missing. I slipped behind our dusty olive-green couch, squeezing myself under it’s sagging belly. My legs slid in easy, along with part of my tummy. There I hid half contorted, like a gummy worm stuck between the wall and the carpet. I waited and waited for someone to come look for me. I eventually climbed out numb and stiff. No one seemed to miss me. No matter how old we get or how strong we’ve grown, we can all use encouragement. — we wonder if anyone notices. — we wonder if anyone cares. When we are happy, is there someone I can dance the crazy-dance with? When we are unsure, is there anyone I can talk to in run-on sentences and find them still listening? When we’re pressed against our everyday lives, we wonder if anyone sees. Deep inside, we are all waiting for a chance to be known. The times in my life I was most encouraged were the times I felt most invisible. Because someone noticed. Someone was willing to spend time to listen. Or invite me out for coffee. Or ask. Or send an email. There was more to the struggle or the excitement I was willing to reveal. And her presence made all the difference to my heart. But, it didn’t happen initially when I was going through my season of anxiety and panic attacks. Because I didn’t tell anyone. I was very thin on friendships where I felt safe enough to be vulnerable and receive. I didn’t know it, but I had protected myself from past hurts of friends who betrayed me — by soley surviving on just exercising my gift of encouragement. I didn’t know how to reach out and choose to develop friendships where I could just be me, so that I could enjoy receiving encouragement. It’s not easy to find friends who you can confide in during times you’re trying to figure out how you’re feeling. When you’re not looking for advice. When it’s not about problem solving — and you want to have a friend for soul sharing — it’s important not to give up on the journey to find soulful friendship. So that you can be refreshed with encouragement. I’m learning not everyone can touch that place of empty. Not everyone knows how to stay. But it doesn’t mean our search for friendship needs to end fruitless. It’s kind of ironic, but sometimes the people who encourage others the most are the one most in need of encouragement. So, give yourself the gift the encouragement: by sharing your story. By reaching out to call a friend — to ask her out for coffee — or invite her for a walk — or send her an email — and let her know how you’re doing. That’s what I did last week. I’m still getting used to this. It’s relatively new for me — because I enjoy giving the gift of encouragement. We know how to give out, but we find it difficult to stop, share vulnerably and receive. Before my journey of healing, I would be the one to always ask people out to see how they’re doing and my heart found a lot of joy by being there for others. But, now, God is inviting me to receive — and that means being vulnerable to reach out to others. And also find friends who are the kind of people who can encourage by listening — more than giving advice or fixing my problems. But, I think it’s worth the risk. My heart would not be as alive — embracing both my scars and my blessings — if it weren’t for kindreds who are willing to share their stories too. The spotlight is often given to the more “up-in-front” spiritual gifts like evangelism or teaching, both of which are very important. But the spiritual gift of encouragement is no lesser just because it is hidden. Jesus Himself encourages us with the work of giving in secret. God says He sees us — and He values each us. The quiet ways that no one may ever know about. God knows. And He wants to encourage you through the voice of a friend. So that you can be refreshed and encouraged. You are not invisible. You are highly cherished, appreciated and valued. May God reward you with refreshment in return. But, we need to take the dare and risk vulnerability. We need to go on the journey to find friends we can be refreshed with. So that we can continue to pour out and encourage. From a heart that has been refreshed. As the beloved. How has God been prompting you to get some soul refreshment from friends? How is God encouraging to nurture existing or seek out new friendships that are for soul sharing? 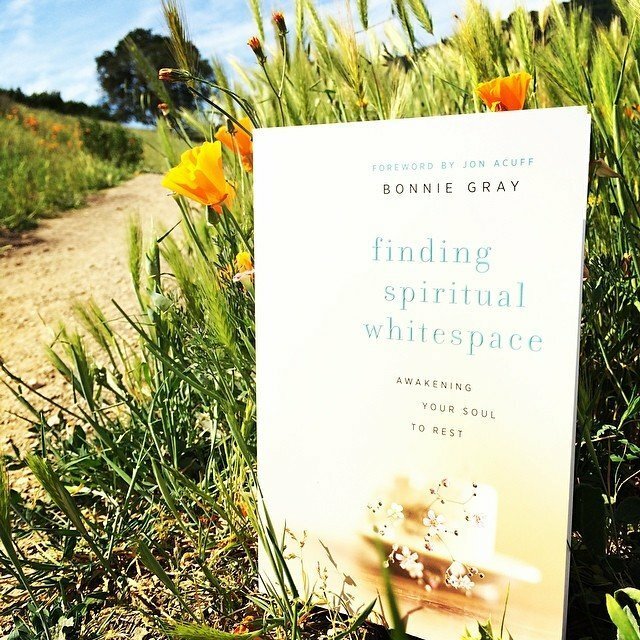 A gorgeous shot of #spiritualwhitespace taken by Gena! serving up shots of faith fits so perfectly with what you’ve said. thank you sherry! what encouragement! Bonnie, your hit the proverbial nail on the head! I am an encourager and yet find it difficult to receive it. I’m going to follow your lead and do something totally outside my comfort-box – thank YOU for encouraging ME!!! 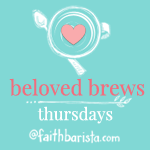 I’m enjoying linking up with you each Thursday. yes — take the step! Bonnie, thank you for this. It resonated with and convicted me on so many levels. I’ve been guilty of rushing in to “solve” rather than listen and that while I’ve so often bemoaned others’ inability to listen. You’d think that would teach me to be still. 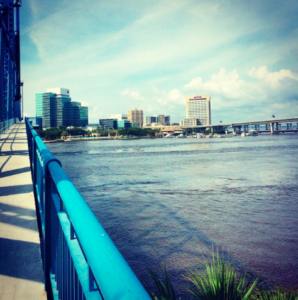 I also do it with God: trying to “fix” by moving on too soon…when God’s saying: No! We’re not done yet…be still and let me work within you. I’m also the perpetual encourager, while deep down I’m so very lonely, longing for others to reach out and encourage me. But then I make an idol of love and affection, so that admitting I need help is admitting I’m not loveable somehow. I guilt trip myself into staying silent. Thank you for this. It’s reinforcing Scriptural nudges, book nudges (Boundaries), a friend’s nudges…perhaps actually Spirit-led nudges to come before my Heavenly Father as a little child…that was also the Scripture for the day that landed in my inbox: Let the little children come to me! i truly appreciate that you’ve shared vulnerably here, anna. i understand what you’re saying. thank you for being honest and open! you are soul-loved. My sweet sister Bonnie. Let me encourge you by saying that through your posts and your videos that they have all been an encouragement and an inspiration to me. I just love reading your posts and watching your videos. Everytime I open my e-mail and see Faith Barista I can’t wait to open it up to see what you have in store for me to read and or watch. It puts a huge smile on this kisser. Well Bonnie I have someplace I need to be so may God also bless and encourage on this glorious day. Much love and bunches of hugs comes your way my friend. Bonnie, your encouraging words always seem to fill that space in my heart I didn’t even realize was empty. I’ve been protecting myself from past hurt and treading the waters of friendship with great caution. My go-to people are gone, but some new friends have emerged. God is nudging me to open up and let them in, but frankly, it’s terrifying. Thank you for the encouragement to believe that they are worth the risk-that I am too. it can feel so risky and unsure… like you said yourself, you are worth the risk. that is a beautiful thought. Thank you for this message, Bonnie. I’m so sorry nobody noticed you were missing when you were little. That’s heartbreaking. I love encouraging others, but it’s hard for me to allow others to minister to me. I SO needed this post today, dear Bonnie! Feeling invisible in my adult life can indeed bring back feelings of being small and vulnerable during childhood. Not pleasant. But as an adult, I can make choices to reach out to those who “see” me and love me=just as I am. I learned the lesson of asking for encouragement only a few years ago. I was surprised to find that asking strengthens and grows friendships. I will take your advice this week and reach out to a friend. A beautiful post which so brought encouragement to me this morning. I love the reminder from Proverbs 11:25 > we can only pour out from a heart that has been encouraged. May we be faithful to encourage those around us & let them encourage us so that we can pour out from full hearts. Blessings! Thanks for this, Bonnie. Its truth resonates deeply with me today. ((Blessings)) Hope you enjoy your supper with your girlfriends. With Joanna, above, I appreciate greatly the affirmation of Proverbs 11:25. SO often I have experienced an endorphin-high when I’ve tried to be a listener, encourager, pray-er, and shoulder to lean on. That’s the way God has made us–to hold each other up–and to reap joy from doing so. Thank you also for your inspiration, Bonnie, to reach out in friendship. I’m still struggling to find kindred spirits in our new city, mostly because we’re still looking for a church home here. But praise God I’m not lonely. Family is nearby, and we’re reveling in the proximity to loved ones after more than a decade of distant separation. How grateful we are (my husband and I) that our adult children are also our friends! I am late to the post this week. It was actually a week where I was in great demand by 5 grandchildren spending several days with me. I love them, they are very well behaved but very time consuming. I left me feeling that sometimes it is good to be invisible. That being said, invisibility is a fact in most of our lives in one way or another. We are dealing with it with two of our teenage grandchildren. The kids are good kids but have spent their lives in the shadow of their father. All things in their home center around him. These two children have become tired of being invisible and are making one last try to be seen. The eldest can drive so he just does not show up where he is supposed to or takes dangerous risks, bad attention is better than no attention. The next one has taken to dressing in a manner that irritates her mom. She has gone from girly to tacky. The parents are in fits and angry and yelling, but we, the grandparents have gone into listening mode and attending to the things that they like to do. We have continued to build the relationship but their parents have lost the way. I raised four children, I know how easy it is to do that when you are trying to raise responsible adults. My point here is not to dwell on the foibles of teenage life, it is about someone seeing us. How often have we stayed hidden until we did something wrong? I love the Proverbs 11:25 Scripture that Joanna used. We can only share what has been encouraged. That needs to be written on all of our hearts. Invisibility is a very difficult thing to break through in a positive way. But recently I have found that God sees through that invisibility and allows me to feel whole where I am planted. Nothing has changed in my situation except my attitude (most days). My husband frets over our grandchildren, but when we continue to build the relationship and not tear it down, it will be okay, I believe that because we lift them up to the Lord daily. To God we can never be invisible. John 14:16 says, “I will not leave you orphans, I will come to you.” He is always with us, even when we are most invisible. dear debbie, thank you for the honor of hearing your story.. and as your husband and you provide a safe haven in your relationship as the grandparents, i want you to know those memories matter. in my book, i share my journey through a rough childhood and i can tell you without doubt the memories, ever so small, even in the midst of a home that was trouble, gave my soul a lifetime’s worth of comfort. hope to keep the fire aflame. take care of yourself and your husband as you continue to journey with your grandchildren and may God give you wisdom and courage in your walk with Him. I found this sight via crosswalk, and right away felt a kindred spirit. I can’t sing, speak well, or do crafts and felt left out in the gifts, until I read the Word on encouragement. We encourage others with how we have been encouraged.